Are you thinking of getting just a little more active politically? Perhaps joining your local Democratic Party? Then, this is the place for you! 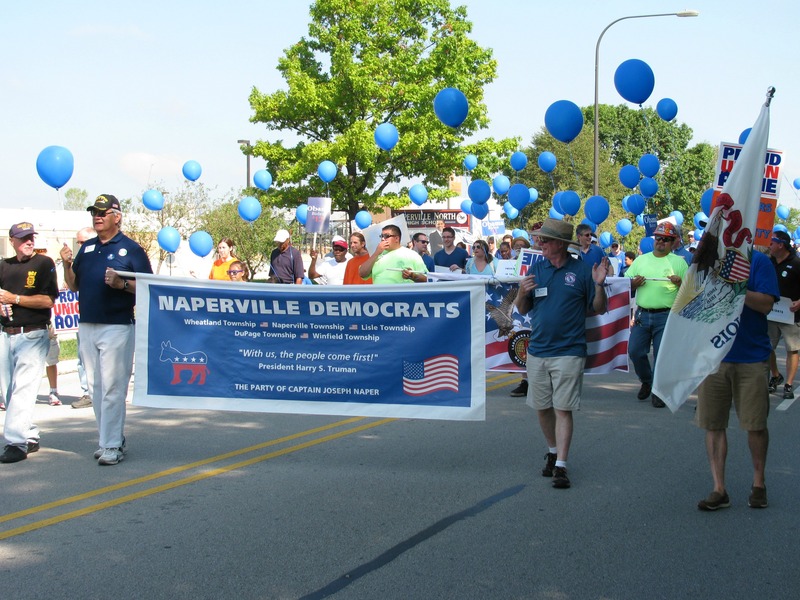 As an organization, the Naperville Township Democratic Organization traces its roots all the way back to Joe Naper, founding father of the city of Naperville! Over the years, the vitality and organizational strength of the Party has continued to grow! We meet on the last Thursday of each month, with the exceptions of November and December, at the Naperville Municipal Center on the lower level. Every two years, five officers are elected to office by a majority of the members: Chair, Vice Chair, Treasurer, Secretary, and Precinct Director. So, what is it that we do? Our activities can be grouped into the following categories: Political Action, Community Service, Organizational Outreach, and Educational. Only through donations and your yearly dues can we make these things happen. Your membership dollars go directly to monthly meeting programs, participation in local events, and Democratic candidate support. As a NTDO member you also have voting rights into how the organization runs. Please consider becoming a member of the NTDO. For your online security we use the ActBlue fundraising tool. ActBlue enables Democratic Party candidates and organizations to easily raise money on the Internet. The organization is open to all Democratic campaigns, candidates and organizations. Their mission is to democratize power by putting powerful fundraising tools in the hands of grassroots donors across the United States. Their fundraising tools allow everyone to have a powerful voice in the country’s future.